Ben and Kim met in the summer of 2010 at Yale professor Benjamin Verdery’s guitar retreat in Maui, HI. Inspired by young Ben’s ability to raise more than $18,000.00 to help kids his age half-a-world away by performing in front of his neighborhood coffee shop, Kim set up a concert in Austin to help his cause. Ben’s website was called, iplayforpeace.net, so Kim thought to call her concert “Ben & I” – thinking that, perhaps, other people might join her in “becoming the ‘I’ ” in the effort. The idea was contagious, and before long, friends had set up concerts in their home towns and pitched in with their support. Oboist Tenly Williams set up a concert in Denver, and soprano Martha Lopez-Leschke followed suit in Sarasota. Benjamin Verdery composed a beautiful piece of music for the event, Concordia University-TX donated their concert hall and the hard work of forty college students, twenty professional musicians donated their beautiful playing, and corporate sponsors D’Addario Strings and National Guitar Workshop made generous donations. Wash Perk donated the use of their space for the concert in Denver. Piano Distributors donated the use of Peg Madill Recital Hall in Sarasota. In 2012, guitarist Cameron Peace joined our project as the Director of Ben & I Play for Peace – Seattle. Benjamin Verdery performed on the Austin concert and conducted an orchestra of Austin guitarists that included award-winning McCallum Fine Arts Academy Guitar Ensemble. Moved by the experiences of the veterans who joined our group of student volunteers from Concordia University, we became an official community partner with the Wounded Warrior Project. 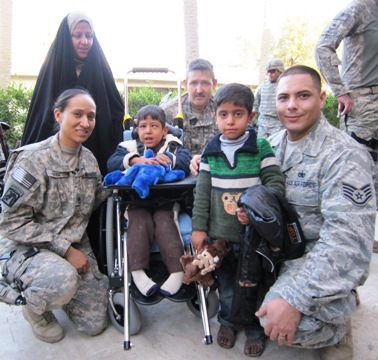 Robert Summers, a veteran of the United States Army, joined our team as the Student & Sponsorship Coordinator. 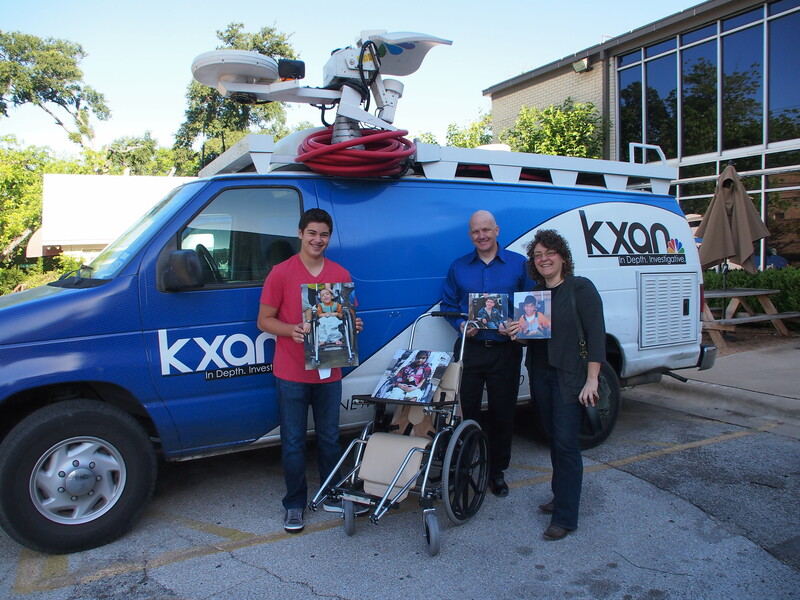 We were in honored to be joined in Austin by CNN Hero Brad Blauser, Founder & Director of Wheelchairs for Iraqi Kids. Our project was recognized by the U.S. House of Representatives, the NPR/PBS program “From the Top”, local media KUT, KEYE, KVUE, KXAN, FOX 7, YNN, the Austin- American Statesman, and Soundboard: The Journal of the Guitar Foundation of America. In the last three years, we have been inspired over and over again by the kindness, cooperation, and commitment on the part of each student, musician, veteran, and community member that goes into making this event a success. 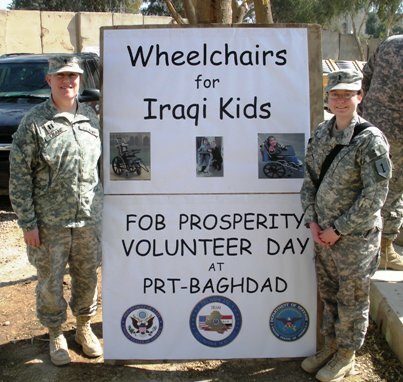 We are so proud to have played a small part in the success of Wheelchairs for Iraqi Kids, and are glad to see the Iraqi Ministry of Health take on this important work in the lives of the children. In Austin in 2013, we were honored to share the stage with a guitar group of veterans who studied with Kim to prepare for the concert. The impact of veterans helping veterans has moved both of us and all involved more than we could have imagined. We were moved again later in the spring when soprano Martha Lopez-Leschke and guitarist Matt Denman asked to dedicate their spring concerts to support our cause. The later part of 2013 has been a big transitional period for our core “Ben & I” team. Ben has started to look at colleges around the country. Kim moved away from Austin to take the job of Assistant Chair of Guitar at the Berklee College of Music in Boston. Martha accepted a full-time music director position in Sarasota. Tenly had a baby girl. And Brad moved home to Dallas and started his new charity: WFKI: Wheelchairs for Kids International. The Veterans’ Guitar Project continues because of the generous partnership of Rev. David Boyd (St. David’s Episcopal ) and Margaret Perry of the Armstrong Community Music School. The faculty, Kirby Kelley and Jeremy Coleman, are committed wonderful musicians. Ben & I plan to continue our support of The Project and of Brad’s work. We are grateful for the moment in time we were able to come together with everyone, and we look forward to what we can all do in the future. Ben’s original idea (at age 9) that “one person might not be able to solve a problem, but everyone can help to help” is still our inspiration. Thank you for joining us. To date, our concerts have raised more than $25,000.00, helping Ben to hit a personal fundraising total of $5o, 000.00.